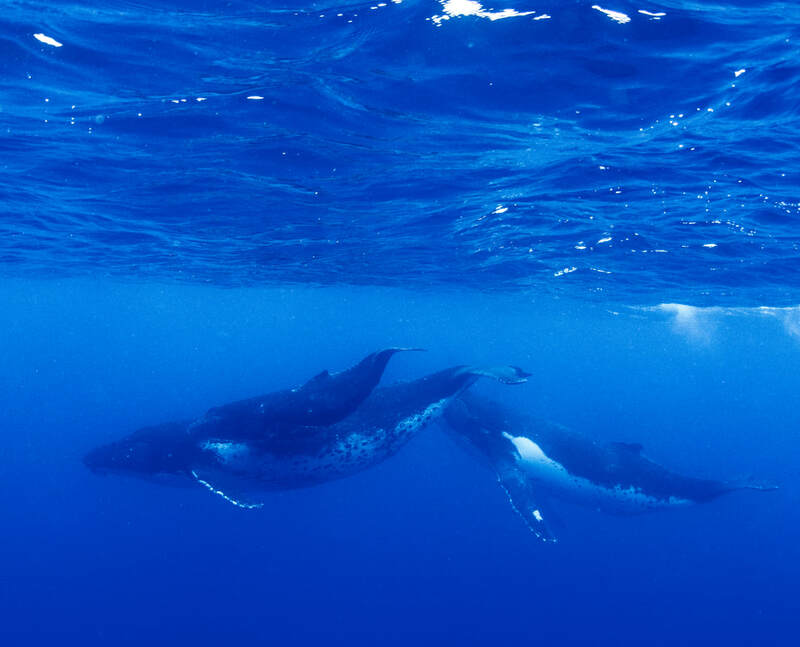 Humpback whales off Tahiti, French Polynesia. These voracious bait fish predators are on holiday and a fast, traveling to tropical waters to birth. Unfortunately, these tropical warm waters have very little productivity. Fortunately for the new born, mom has plenty of blubber reserve for breakfast.